The Nine Emperor Gods Festival (Chinese: 九皇爺; pinyin: Jiǔhuángyé; Cantonese: Kow Wong Yeh) is a nine-day Taoist celebration beginning on the eve of 9th lunar month of the Chinese calendar, which is very popular among the Southeast Asian countries like Myanmar, Singapore, Malaysia, and Thailand, and also the Riau Islands. 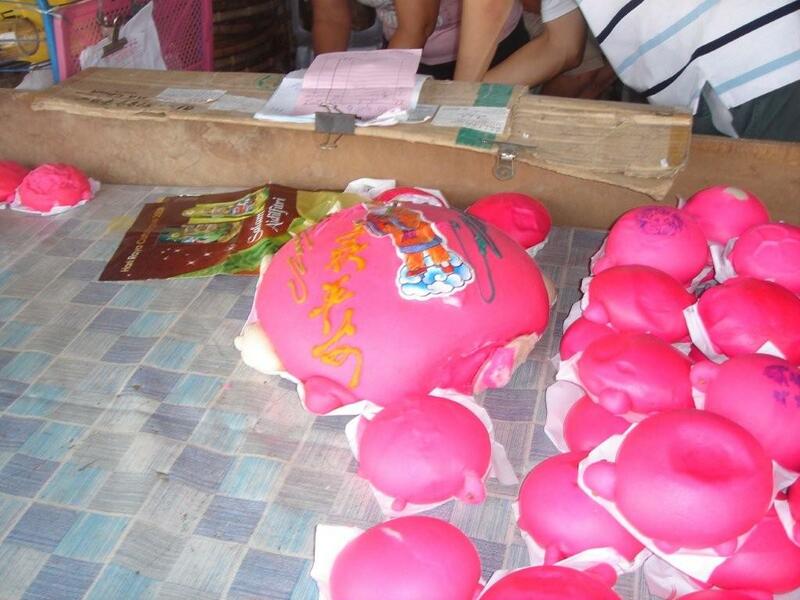 Based on this year's Chinese calendar, Nine Emperor Gods festival started on 26th September 2011 and lasted for nine days. A carnival-like atmosphere to welcome the spirits of nine emperors from the heaven to the earth who are worshiped as one deity known as Mazu, the Taoist goddess of the sea and queen of heaven, who represents health, wealth and prosperity. The most interesting is, it will often rain during the nine days of this festival. The belief is that the deities, who are said to spend their entire time at sea with the exception of these nine days, bring the rain and cleanse the area for their arrival. During the festival, devotees will observe a strict vegetarian diet for some or all of the nine days to cleanse and purify their bodies. 26th Sept 2011: The arrival of Nine Emperor Gods at Morib Beach, Malaysia. The devotees dressed in white and carried the chariot to pick up the spirits of the gods from the sea. Throughout the nine days of festival, the constant tinkling of a prayer bell and chants from the temple priests can be heard while praying. Most devotees and prayers will stay at the temple, eat vegetarian meals and recite continuous chanting of prayers with incense and candles. To increase the mood of the festival, there are numerous of dragon and lion dances at the temple as well as the lighted floats parade takes place around the neighbourhood in Malaysia. 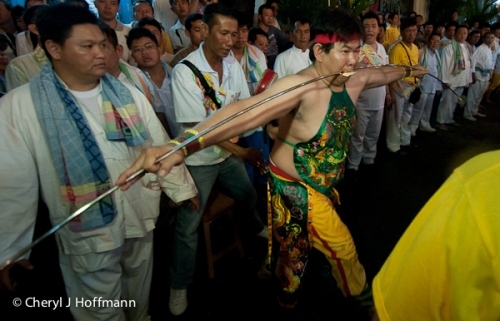 Apart from that, Malaysia and Thailand hold the biggest Nine Emperor Gods event annually, they do not only welcome the nine emperor gods but the devotees invite the spirits of gods to possess their bodies before performing rituals such as walking on the fire and piercing their cheek and bodies with spears. There are some devotees who are able to walk along the broken glasses or climb on the steps of sharp blades. Nine Emperor Gods Festival 2011 at Ampang, Kuala Lumpur, Malaysia. The festival is led by dragon and lion dances and the parade. (Viewers discretion is advised!!!) 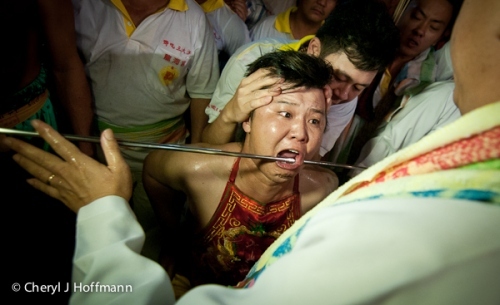 Spiritual experience: Trances and piercing ritual through the cheek in Penang, Malaysia. On the last day of the festival, the temple organised a fire walking ceremony for the devotees to cleanse away their bad luck at a temple in Ipoh, Malaysia. Birth Tourism in the U.S.